Find out more about high-speed passenger rail, including what it is, why Rochester is the best choice, what decisions have been made already and what’s next. What is high-speed passenger rail? Why support high-speed passenger rail through Rochester? How is the Alliance building momentum? High-speed rail is a type of passenger rail transport that operates significantly faster than the normal speed of rail traffic, typically at speeds above 110 mph, and usually connects communities across a larger geographic region than commuter rail. 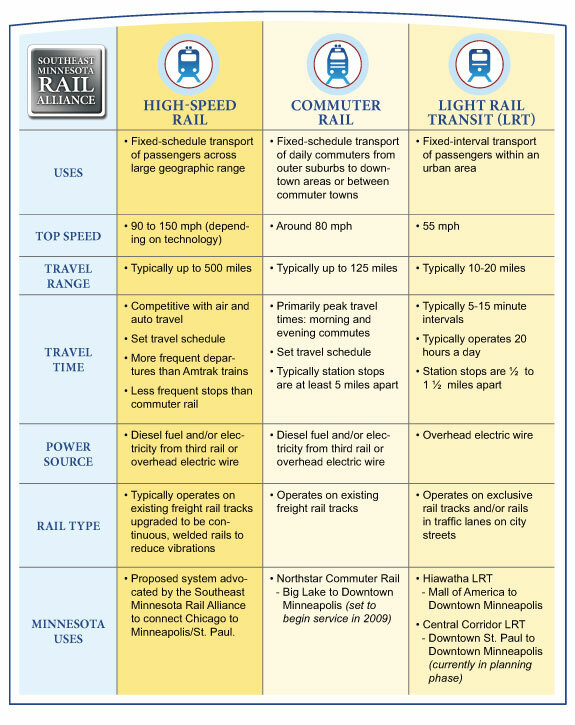 The proposal being advocated by the Southeast Minnesota Rail Alliance is for this type of inter-regional high-speed passenger rail.